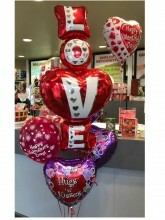 Who wouldn't love to receive this beautiful balloon bouquet? 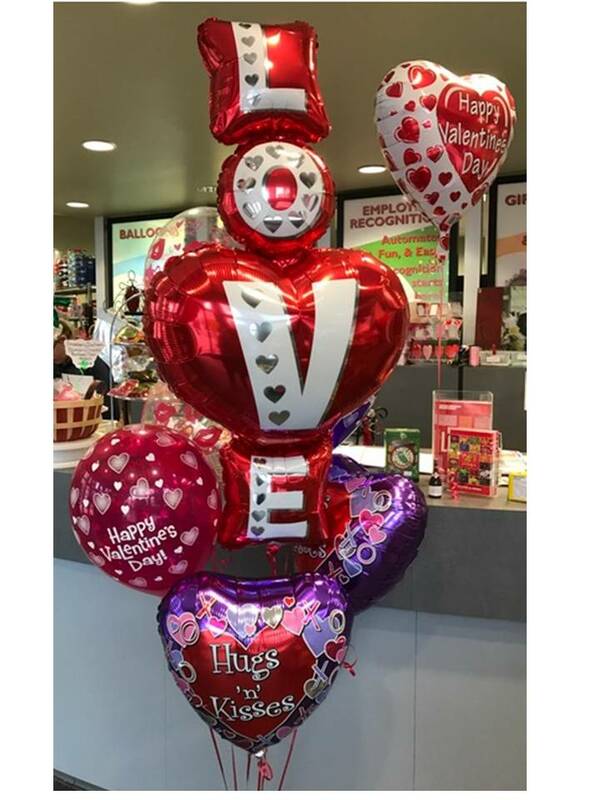 The giant red LOVE balloon is surrounded by hugs and kisses (on 2 foil balloons) and 3 printed latex Happy Valentines Day balloons. Beautifully arranged and delivered to someone you love. Click the button below to add the Balloon Bouquet Love, Hugs and Kisses to your wish list.